i'm loving the flowers that we planted in the flower bed in front our our house. they are so colorful and cheerful and i hope they stay pretty for awhile this summer! 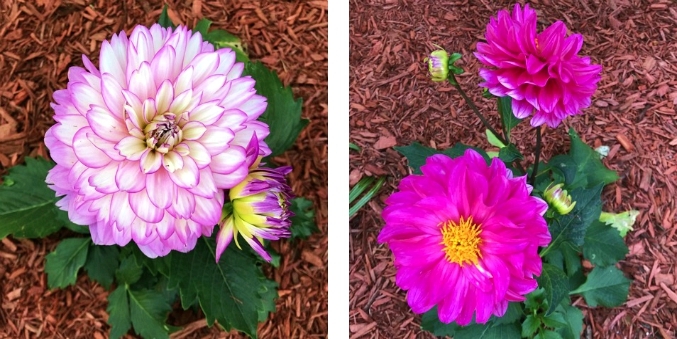 Those dahlias are beautiful! I love the colors of both of them. They are beautiful and would even bright a dreary day.